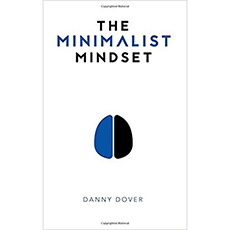 “The Minimalist Mindset” is not about tidying up or the philosophical exploration of minimalism. It shows you how to prioritize how you live your life and develop the habits to make realistic and sustainable trade-offs. It's about retaking your freedom and prioritizing your passions. This book aims to help you eliminate unwanted responsibilities and add meaning to your life. Chapter 3: How Does One Live Life Well? Part Four - But Why? Chapter 29: Why Are You Here?